A pleasant surprise for the Boilermakers. A true center with NBA size and a quickly developing game. A legit 7-footer with good bulk and strength. Does all of the dirty work in the lane and knows his role well. 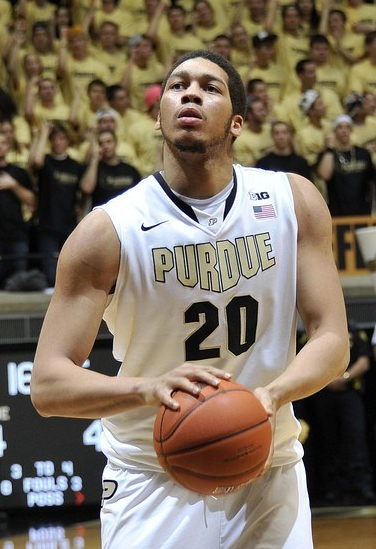 Uses his strength well to gain position for rebounds and to keep opponents out of the lane. Looks to be gaining explosiveness and has a lot more upside yet to reach. Decent free throw shooter for a big man who should continue to improve from the line and from mid range. Needs to continue to get into top shape and define his body. Must develop a go to move in the low post.